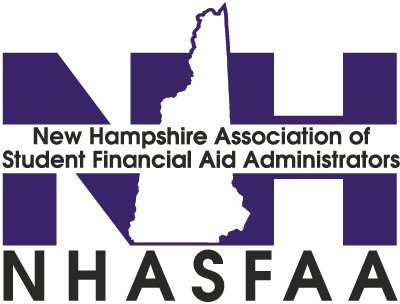 Sponsors/partners are valuable members to our association who provide valuable services and/or financial assistance programs that promote student access to New Hampshire post-secondary schools, and financial support to the Association. Opportunity to exhibit at training events throughout the year. Note: All associate members that specifically represent a business organization that provides student financial assistance programs or services, are required to complete and submit a sponsor/exhibitor agreement to attend the annual conference. This requirement is established and enforced to protect the association’s sponsor/partner relationships. If this obligation is not met prior to the event date, then NHASFAA will cancel the conference registration and refund the conference fee to the member. CampusLogic transforms the way higher education delivers student financial services with the first—and only—unified platform. Easy. Mobile. Personalized. By removing barriers from the student finance journey, our platform helps schools increase accessibility to education, reduce student borrowing, and drive down the cost of financial aid administration. Schools can fully support students from college search to graduation, enabling them to understand the true cost of college early in the enrollment process, match to relevant scholarships, complete critical financial aid processes, and access easy-to-understand, digital award letters. More than 450 institutions—serving 3 million students—boost enrollment, streamline efficiencies, improve retention, simplify compliance, and secure data with CampusLogic. Learn more: Campuslogic.com. Citizens Financial Group, Inc. is a leading provider of student loans with over three decades of experience in the student loan industry. Citizens Bank offers competitive loans and rates to students and parents looking to finance an education or refinance federal and private student loans. As the only national lender with Multi-Year Approval, borrowers can simply secure funding for a student’s entire time enrolled, not just the first year. We are committed to educating and empowering our customers to make informed financial decisions with the help of our dedicated specialists, tailored products, and online tools and resources. Visit www.citizensbank.com/student-loans. Cognition Financial (formerly First Marblehead Corporation) is a leading provider of private student loan solutions for lenders, credit unions, and schools. An engine for our partners’ growth, we take a thoughtful, collaborative approach to product development and delivery. This loan product provides undergraduate and graduate students competitive pricing, a choice of a fixed or variable rate, and borrower benefits that encourage thoughtful, informed borrowing decisions. The application process provides added transparency by displaying, in the same session, an estimated repayment calculation for the actual pricing offered. The online application allows applicants to customize their loan options and see the impact of their choices on pricing before they make any commitment. This loan product offers fixed or variable interest rates, multiple repayment options, and is available to both undergraduate and graduate students. In School Refinance Option: SunTrust offers an in-school refinance option that gives students the option to refinance existing private student loans into a new private student loan. This option combines existing student loans with the funds needed for next semester into one new loan. A comprehensive suite of loans including undergraduate, graduate, parent and refinancing. Competitive fixed and variable interest rates, with no origination or application fees. The fastest and easiest application process—averages 3 minutes to complete—along with an instant credit decision. The most in-school repayment choices and the widest selection of repayment term lengths. Our pre-qualification tool allows students (and cosigners) to determine if their credit qualifies them for the loan, as well as the rate they could expect to receive, before they apply. Our unique loan calculator presents students with applicable interest rates, estimated monthly payments, and the total loan cost under each customizable option. Students can also see how much their loan would cost—under each repayment scenario—if they select a loan term of 5, 8, 10, or 15 years. We clearly explain each repayment choice and how much money borrowers can save through in-school payments and shorter repayment terms. College Ave Student Loans offers all of the loan features students want plus the personal attention they deserve. We’re committed to ensuring students thoroughly understand the loan before borrowing and to giving them the guidance and support they need to pay it back successfully. We want your students to be successful! To learn more you can visit our website at www.collegeavestudentloans.com. Discover Student Loans provides private student loans for college and graduate school as well as post-graduate loans for students studying for the bar exam or entering a residency. All loans feature fixed or variable interest rates, no fees required, choice of in-school or deferred repayment, and loans for college and graduate school include cash rewards for good grades. US-based Student Loan Specialists are here to help your students, and Priority Services provides personal support for financial aid offices. We believe in responsible borrowing and encourage students to maximize grants, scholarships and other free financial aid before taking student loans. For more information please go to our website: https://www.discover.com/student-loans/. EDvestinU® is the private student loan and consolidation program of the nonprofit New Hampshire Higher Education Loan Corporation (NHHELCO). EDvestinU's mission is to provide affordable college funding options to students and borrowers nationwide. With industry-leading rates and nationally recognized loan servicing, students, parents and postsecondary schools can have every confidence that EDvestinU customers are provided with the tools needed to make educated financing decisions. As a nonprofit lender, proceeds are reinvested into borrower benefits which reduce the cost of borrowing, scholarship programs which reduce the need to borrow, and educational outreach which increases aspirations for higher education. Information about the EDvestinU private loan can be found at www.edvestinu.com/private and information about the consolidation program can be found at www.edvestinu.com/consolidation. U-fi, a Nelnet company, provides private loan origination and servicing to help students reach their educational goals and make smart financial decisions. We achieve this by providing simple, helpful student loan solutions with competitive borrower benefits, financial wellness resources, and more. Built on Nelnet’s solid foundation of more than 40 years of student loan expertise and dedication to student success, U-fi creates graduate and undergraduate private student loans and student loan refinancing options that are simple, easy to understand, and accessible. With features like low interest rates, cosigner release options, and flexible payment terms, we want to make paying for school as painless as possible. Learn more: www.u-fi.com. Sallie Mae (NASDAQ: SLM) is the nation's saving, planning, and paying for college company. Whether college is a long way off or just around the corner, Sallie Mae offers products that promote responsible personal finance, including private education loans, Upromise rewards, scholarship search, college financial planning tools, and online retail banking. Learn more at www.salliemae.com. Commonly known as Sallie Mae, SLM Corporation and its subsidiaries are not sponsored by or agencies of the United States of America. 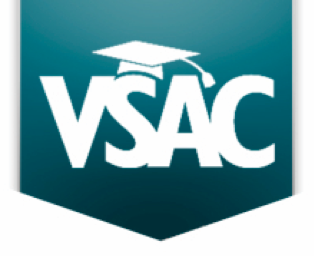 VSAC, a Vermont state nonprofit agency, was established by the Vermont Legislature in 1965 to help students of all ages save, plan and pay for college and career training. VSAC offers a range of services to students attending Vermont institutions as well as Vermont residents attending college in NH or anywhere in the U.S. and abroad. VSAC’s free services for students pursuing education after high school include education & career planning, admissions counseling, help with understanding and completing financial aid forms, low-cost, fixed-rate Vermont Advantage loans for students & parents, and 1-on-1 repayment counseling. VSAC also administers scholarships, grants, and the Vermont Higher Education Investment Plan, the official Vermont tax-advantaged 529 college savings program. Learn more at www.vsac.org. CommonBond is a leading values-driven, customer-centric financial services company and provider of private student loans. Founded in 2011 by three Wharton MBA students as an education lending company, our goal is to make education finance better. Through CommonBond, our members gain access to a robust suite of low fixed and variable rate student loan products. Students choose CommonBond due to our best-in-class customer service, a greater diversity of low interest rate products and the social mission of our business (what we call our "Social Promise"). We firmly believe that business can and should be a positive force for change. By empowering our students to become Social Promise champions, we hope to make an exponential difference. Learn more: www.commonbond.co.